OSWEGO, NY – April’s meeting of the Oswego Association of Business and Professional Women was held at Vona’s. It was full of Oswego Middle School innovation and information. 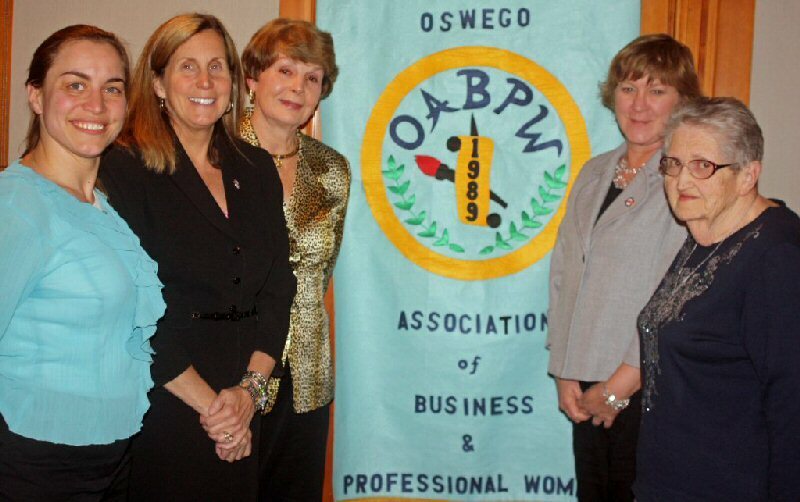 From left Beth Clark, president OABPW; Mary Beth Fierro, principal OMS; Barbara Jung, committee chairperson; Robin Proud, assistant principal OMS; and Mary Margaret Lloyd, committee co-chairperson.